FOUR people have died on Irish roads in the past 24 hours following three fatal collisions, while another young man is fighting for his life after being struck by a car yesterday evening. Two young men were killed in a single-vehicle crash in Co Louth this morning, while a motorcyclist died in a crash at 7am in Dublin. Yesterday, one man died and another 11 people were injured following a horrific multi-vehicle crash in the midlands. A 24-year-old man is also in a serious condition after being struck by a car in Co Longford yesterday evening. The fatal single-vehicle crash in Louth happened on the R173 in Carlingford at around 12.30am this morning. Both men - understood to be in their 20s - were pronounced dead at the scene. Nobody else was injured in the incident. A garda spokesman said the incident has been referred to GSOC for further investigation. AA Roadwatch said the Carlingford and Omeath Road is closed until further notice and diversions are being set up. Gardai are appealing for anyone who witnessed the crash to contact Carlingford Garda Station on 042-9373102, the Garda Confidential Telephone Line on 1800 666 111 or any garda station. Fianna Fáil councillor Conor Keelan said he offered his condolences to the families involved. A man in his 40s was pronounced dead at the scene in Whitestown Way after the single vehicle crash which happened at around 7am. An investigation is also underway into the collision between a car and pedestrian in Co Longford yesterday. The incident happened on Mary Street in Drumlish at around 8.35pm. The injured 24-year-old man was removed to the Midland Regional Hospital in Mullingar with serious injuries. 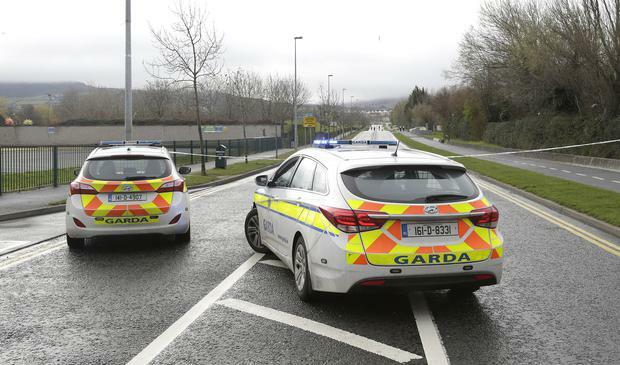 Gardai are also carrying out investigations into the fatal collision on the M6 yesterday, which claimed the life of a man in his 60s and has left another in a serious condition in Dublin's Beaumont Hospital. The man who died is understood to be from Ashbourne, Co Meath. He was pronounced dead at the scene. His wife, who is also aged in her 60s, was injured and brought to the Midland Regional Hospital in Mullingar where she was in a stable condition last night. A further 10 people are being treated for injuries of various degrees after the five-car incident on the M6 motorway near Kilbeggan, Co Westmeath.